When it comes to your plant ledge, you want some great scenery. So bring it to life with magnificent greenery! Unique shelving and design spaces provide the perfect opportunity to showcase beautiful blossoms and fabulous foliage, but coming up with plant ledge ideas can be tricky. I get it – It’s a fine balance, as you want your plant life to bring some color and vibrancy into your home without it looking like a small jungle has taken up residence. Not sure how to achieve that balanced look? No worries – I’ve got your back. When it comes to plant ledge ideas, there are multiple possibilities, but this is my go-to design for an open ledge that needs some love and attention. I achieved it in four easy steps, and you can too! 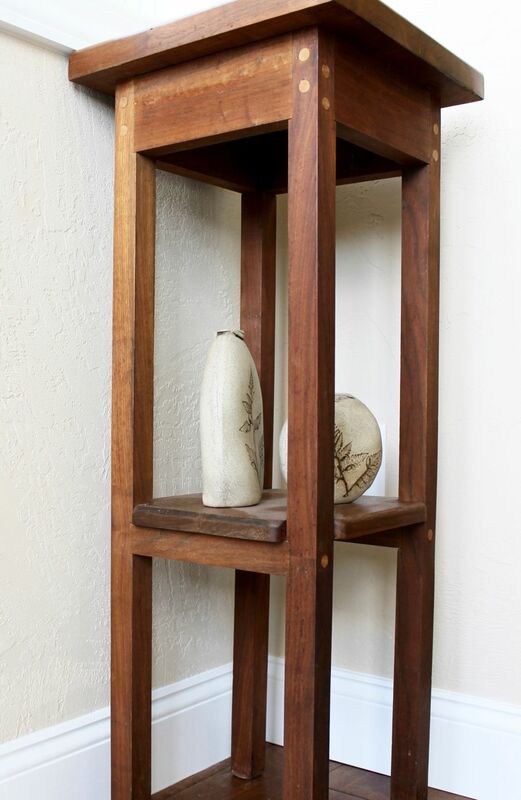 Implement plant stands to add height and dimension. Throwing a bunch of plants onto a ledge will make your ledge look haphazard and boring – it’s important to be intentional about plant placement! If your ledge has windows above it like mine, it’s even more important to add varied heights to bridge the gap between the plant ledge and the window sill. Visual interest is created by placing plants at different heights instead of all at the same level, and plant stands are a surefire way to achieve this. 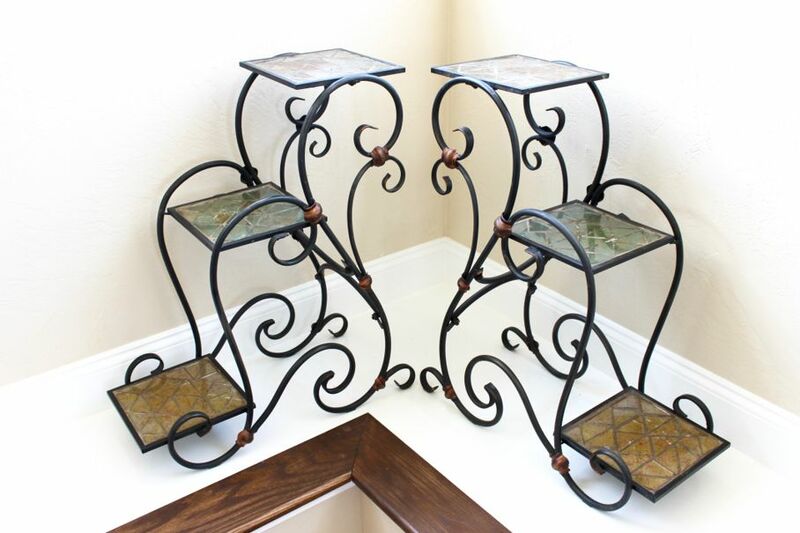 Plant stands don’t just have to be individual stands. It’s also good to use ones that have multiple platforms to create an even more unique design element. 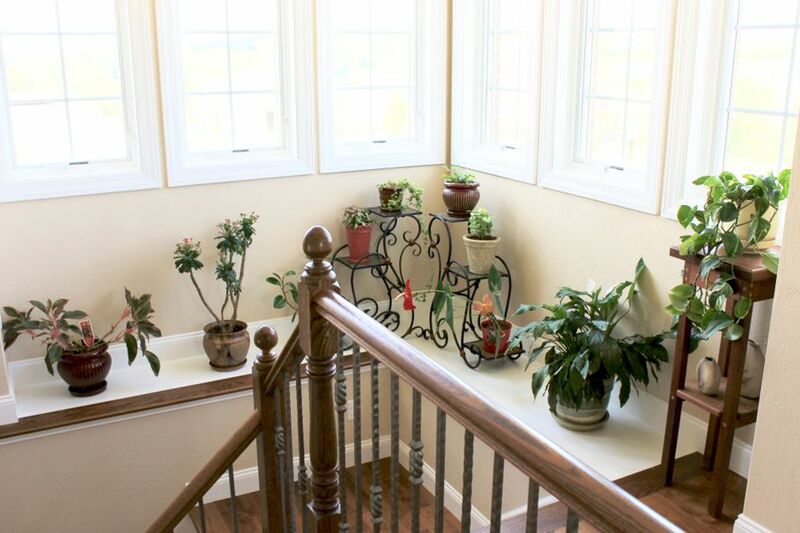 For example, these staircase plant stands provide a peaking in the design to draw attention to the middle of this L-shaped ledge. When it comes to plants, mix it up. Choose a variety of plant types with different shapes, colors, heights, and sizes. You don’t want to buy ten identical plants, as your plant ledge will look less like a classy cultivation and more like a monotone mistake. The key is to make sure that every plant is unique! Some have a wider circumference with the leaves hanging to the side, while others are stout with stems that stand vertically. Just make sure that no two are alike! Get creative with your plant pots. 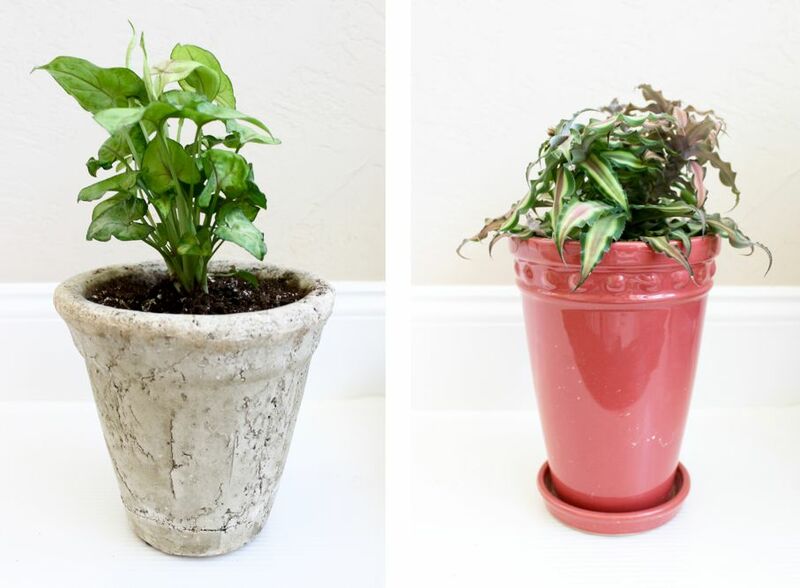 The same rule that applies to your plants applies to your pots – mix it up! Having a variety of patterns, widths, and shapes gives your plant ledge a contemporary look and brings that empty decorative space to life. 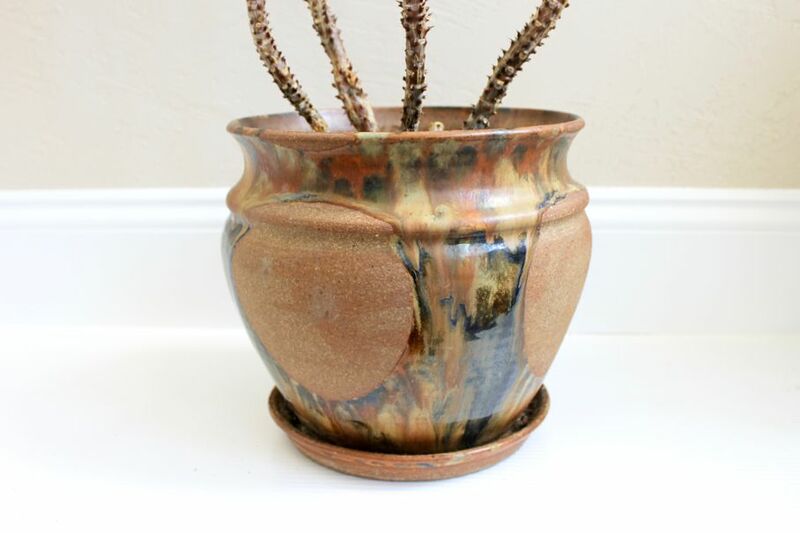 Textured pots, along with unique designs and earthy colors, provide warmth in a bland space. 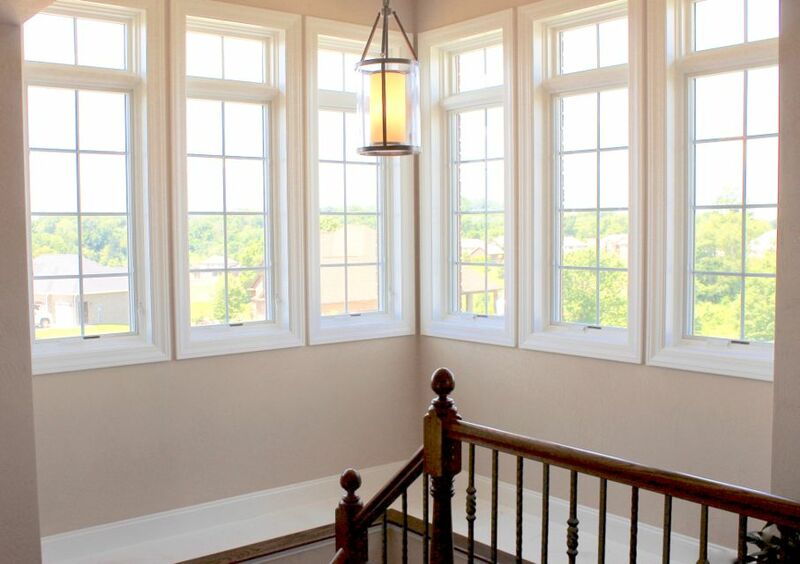 Your local home improvement store or home décor store should have a variety from which to choose. Make sure that you choose slimmer pots for your smaller plants, and wider pots for your larger plants, as this will make the transferring process a lot easier! Pot placement is key. Once you’ve transferred your plants into their correlating plant pots, it’s time for the final step! 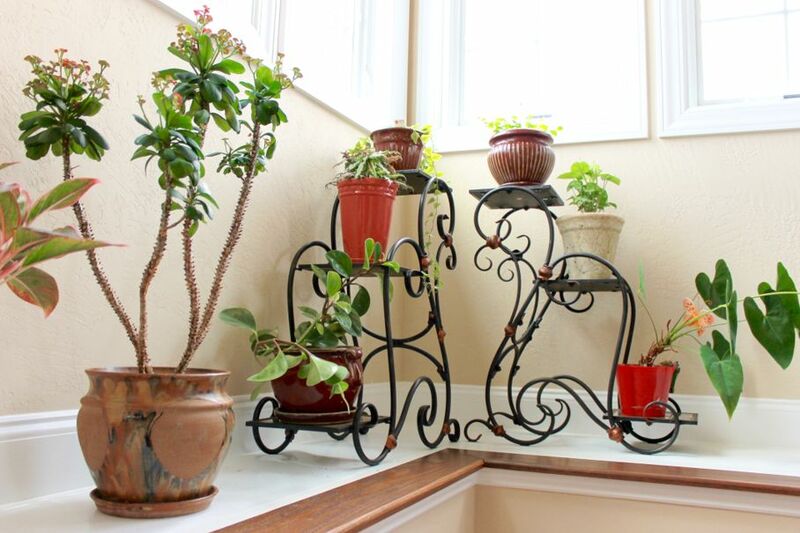 Place the taller plants directly onto the ledge, and the smaller plants onto the plant stands. 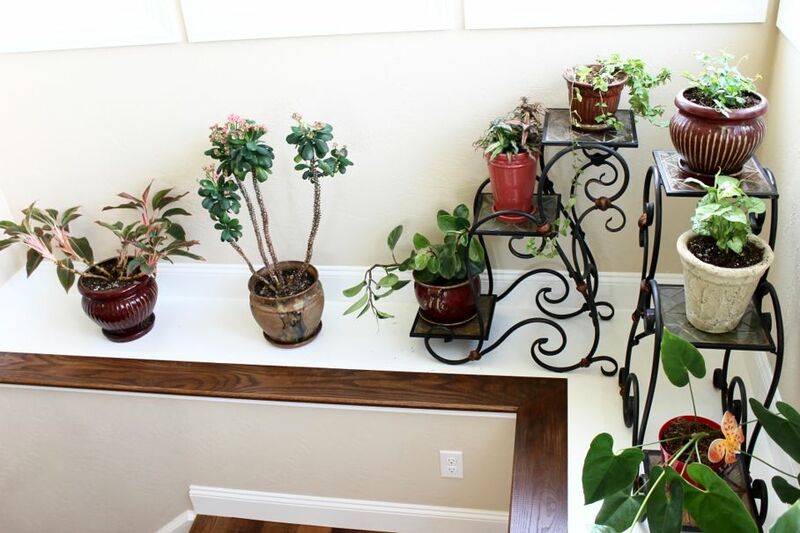 Make sure there’s enough space between each potted plant and/or plant stand so that the ledge doesn’t look too cramped or overcrowded. And voila! Your lifeless ledge is now a picture of perfection. We’d love to hear some of your plant ledge ideas! What are your tips and tricks for choosing the best types of plants? Where have you found the most unique plant pots and stands?